This flat-bottomed skiff is one of the cross-planked flat-bottomed skiffs referred to as a sharpie, once widely used in the United States. This particular skiff was built in 2012 and has only been in the water a handful of times. She is in perfect condition requiring only standard bright work maintenance to be showroom quality. She is 18’ LOA and is of a type once used as sailing work-boats along the East Coast in the mid to late 1800s. 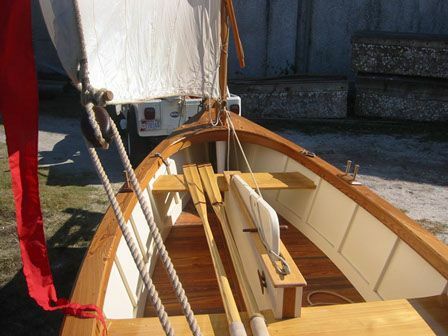 This skiff carries a sloop rig, with a jib set on a removable bowsprit. She is also rigged to carry a topsail as was typical among the Carolina spritsail skiffs. 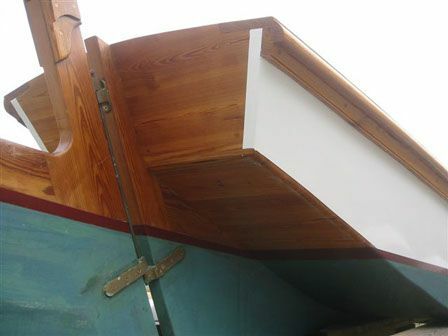 The skiff is built with ¾” cypress for the planking and long-leaf “heart” pine for the framing, bottom planking, chine logs, keelson, skeg and rudder. Live oak was used for the centerboard, tiller, blocks and cleats. The spars and bowsprit are of heart-pine and clear Douglas fir. The bottom is doubled planked with ½” pine on staggered joints with a layer of muslin with “Dolphinite” bedding compound in between layers. 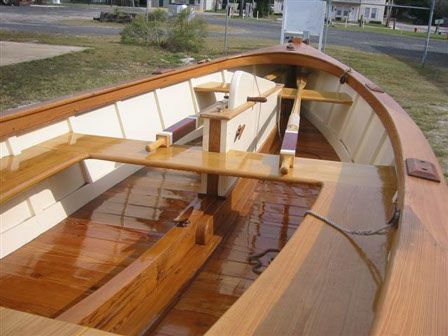 This amazingly well built boat is valued at over $15,000. However, she is seriously for sale due to an upcoming cross country move and will go to the first person to offer $5,000. This is your opportunity to get a supremely constructed historical classic without having to pay some ridiculously high construction price.